It’s April Fool’s Day but everyone in Founder’s Friday is in serious business especially that we have DTI (Department of Trade and Industry) in the room with us. The startup founders in the field of finance, e-commerce, real estate & tech joined together for a cordial gathering, introducing themselves, their business and what drives them to choose the startup path. Keynote speakers were Francisco “Nino” Liwa and JJ Lumagbas. Francisco, a web developer and startup founder based in Singapore, shared his experience on being an expat and startup founder. JJ Lumagbas, UP TBI Project Leader, also talked about how TBI can help the startup and the community. 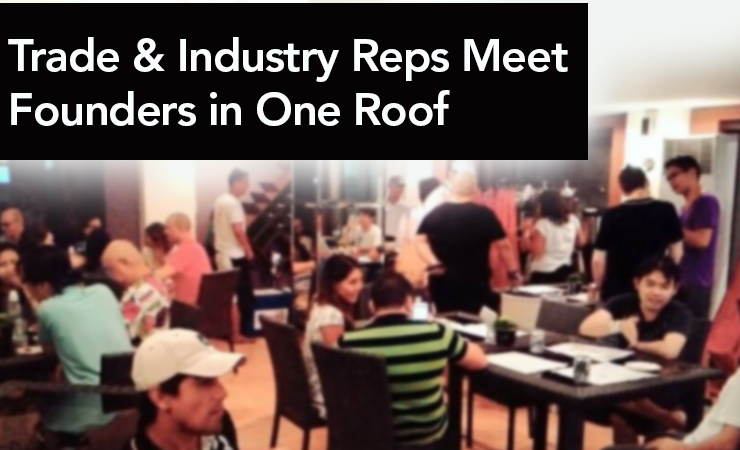 The presence of DTI representatives made a huge impact to the startup founders. Encouraging them to actively participate in the government support that is obviously taking shape. Founder’s Friday is a project launched by TechTalks.ph in 2014. The goal is to foster a good environment for founders, to launch their startups, and angel investors to find and fund them. It is also a venue for startup founders, aspiring entrepreneurs, and all those who are serious in starting a business in web and mobile technology to share their knowledge. Come and join our next Founder’s Friday on May 6, 2016. For details, visit TechTalks.ph Cebu and Beyond Meetup.